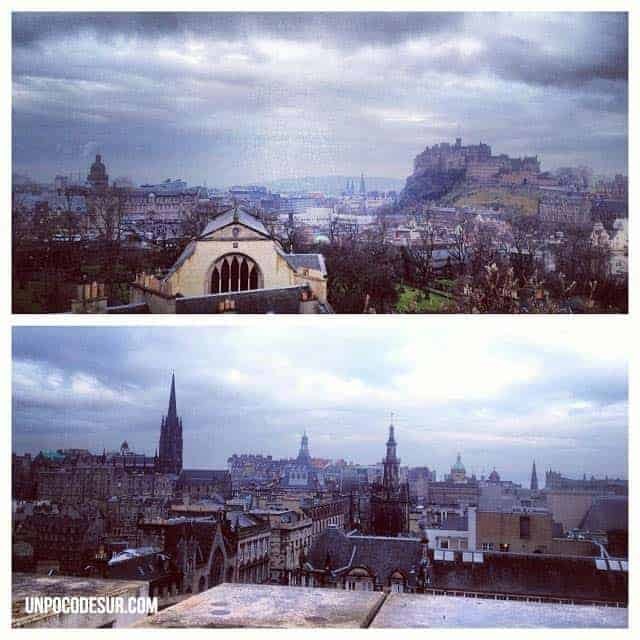 What to do in Edinburgh... for FREE! 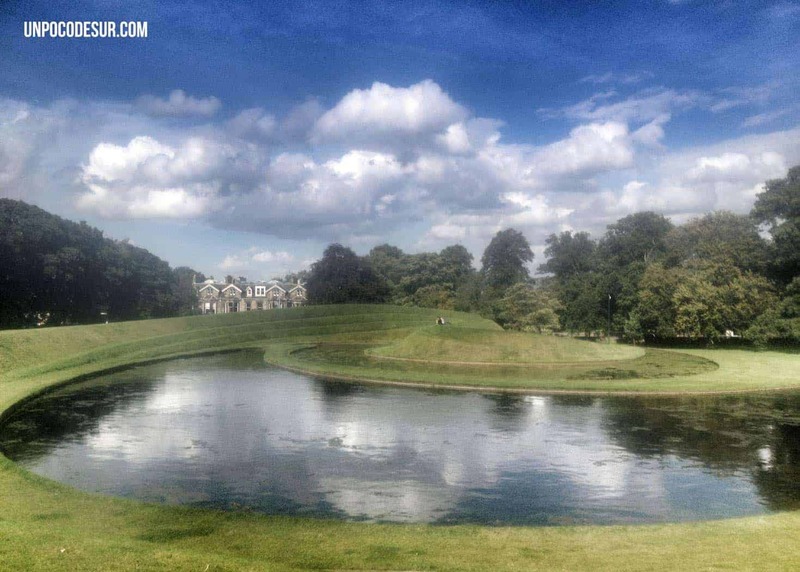 What to do in Edinburgh… for FREE! We are the kind of travellers that love to walk and wander around the cities and places we go. Not big fans of super touristic things (usually expensive) if it’s not truly worth it. 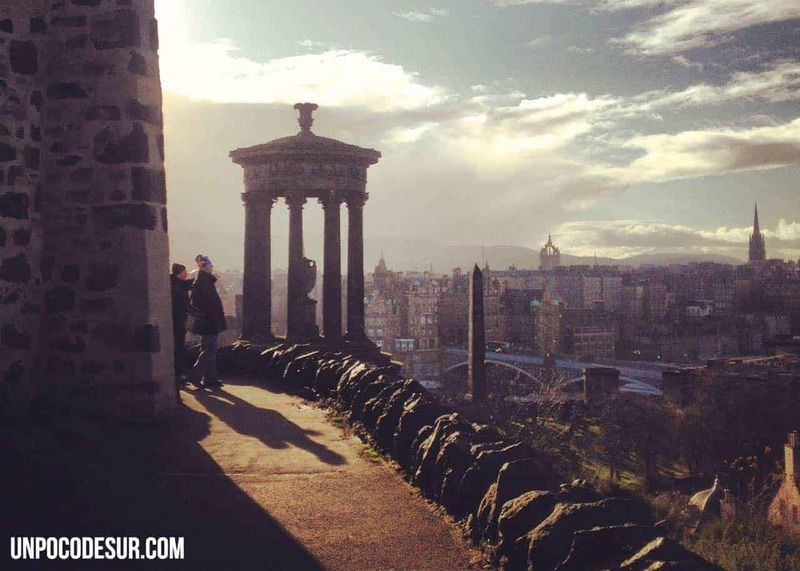 Also, as slow travellers, some of the places we discover become actually or homes such as Edinburgh, the beautiful Scottish city was part of our lives for 2 years and after such time you manage to know small corners that other people miss. So today we are going to leave you with a list of 1o things to don in Edinburgh… absolutely for free. First, you need to assume if you are travelling to Scotland is the weather, let’s say it’s not particularly sunny and tends to rain. That does not make the city worse, you get totally used to it, and most of the time it’s a light rain, just enough to leave the floor wet. So prepare and bring a raincoat, forget the umbrella, it’s windy and you will throw it away in less than 1h. Also, bring comfortable waterproof shoes so you make sure you can go all around without ruining the experience. If you are lucky enough to see the sun shine don’t hesitate to leave the house and give a short walk to Calton Hill. Located just at the end of Princess Street does not require too much time to reach the top and the views are priceless due it’s location, right in the centre of the city. 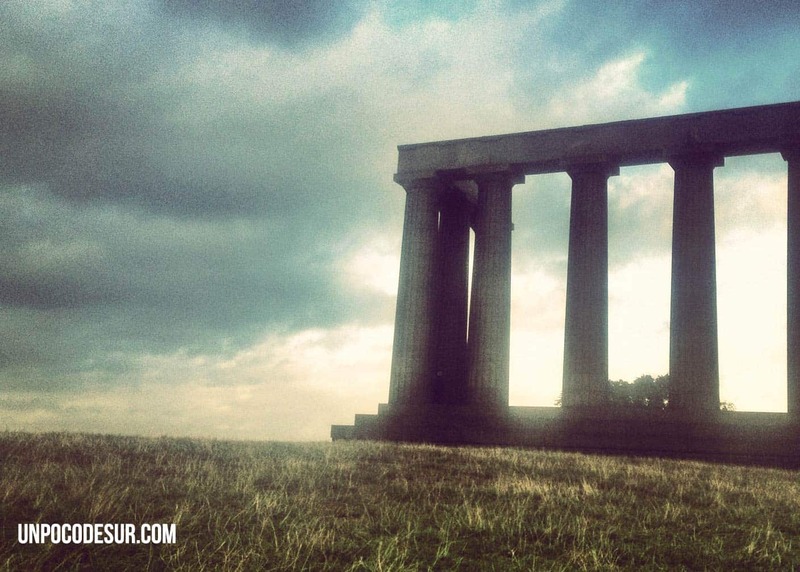 Calton hill is full of charm for many reasons, first of all, the top of Nelson Monument. To reach it you will have to pay but it’s highly recommended (about 4 pounds per person). Prepare yourself to climb more than 140 stairs to be able to enjoy the panoramic view. In any case and following the free idea, if you have no budget or mood to climb the tower, all the hill deserves attention and there you will find the National Monument trying to imitate an Athens pantheon. The history of this monument is pretty curious but to summary, the monument is not finished (and won’t be), in 1829, only 3 years after the start of its construction, they run out on funding and decided to leave it just like that. From then on is known as Edinburgh’s disgrace. The highest hill from all 7 surrounding the city is also one of the most important city lungs. It’s relatively short, only 251 meters high but it’s the main point for outdoors activities. Climbing Arthur’s seat requires a little bit more of shape than Calton hill, but no worries, it’s pretty chilly. The views are again exceptional. Be prepared for wind, it can be really strong. Don’t panic, this is normal here, also be more careful if the ground is wet (as it will probably be) and walk safe. Just as it says, it’s a town inside a town. Well, a tiny village. Dean village was funded at the end of XII century on the banks of Leith river, its a really pleasant and calm place, absolutely residential. you can enjoy a short walk around the area, I will recommend to do it in the morning, then you will have enough time to continue trough the river and reach point four of our list. Just after Dean Village and following the river with a beautiful landscape you will find a path to reach the Museum, about 20 minutes later. Like many museums in Scotland the entry is totally free (permanent exposition) and even if it’s only a couple of tiny buildings they can host really interesting pieces of art. Check out the schedule, the itinerant expositions are worth a visit most of the time. Greyfriars cemetery is one of the most picturesque places in the whole city. Don’t worry, visiting a cemetery is a really common thing over here, actually, they have nothing to do with the cementers I know, people use to sit down and read or even have a picnic if the weather is nice. 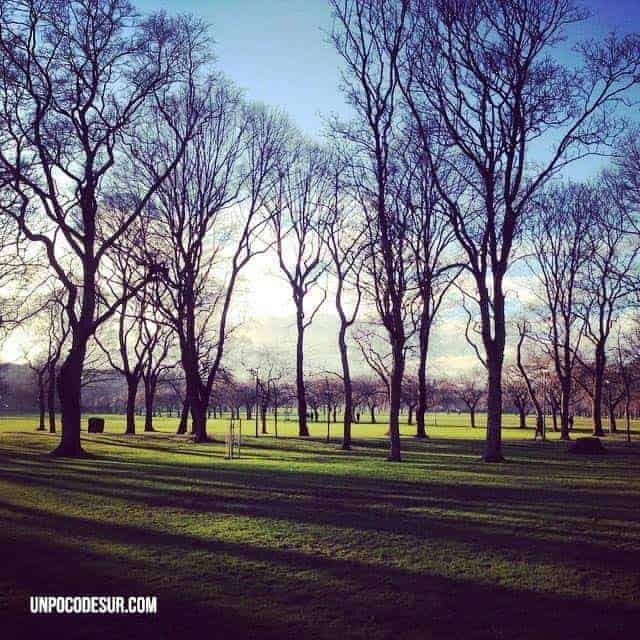 The cemetery is on one side a really peaceful place, but on the other hand is the cradle of some of the most mysterious and paranormal events in Edinburgh’s history. There is located McKenzie’s gave, well know as Edinburgh’s poltergeist. Many events have ended up in the close up of this side of the cemetery to the public, it seems a lot of people was having problems and noticing “strange” presences”. Really close to Dean Village every Sunday you can find the farmer’s market of Stockbridge (exactly here) it’s located in a really tiny square and calls many different local farmers, organic and bio products and also international fresh food that is cooked right on the spot. It’s a nice visit for a lazy Sunday morning, after you can come back with a full hand of food to taste, from indian to Spanish cuisine. One of my favourite spots and also, one of the most unknowns. The Museum, just right in front of bobby’s statue can tell you all the city and Scottish history and it’s a highly recommended visit with kids that you can also enjoy as an adult. As mentioned before, this is also a free entry museum, donations can be made on the principal door and consists in 5 floors but hides a gem not a lot of people knows and give the final touch to the place. The terrace. The terrace is only accessible from the side east of the building and when the weather is “good” (here good means the world it’s not going to end), in case you get lost just ask the museum staff and they will guide you to the stairs. It’s often empty and will give you another view from the city. Keep in mind the opening times, from 10 am to 5pm, for more information, please go to the official site. THE PARK, well, the most visited and used. Right in the centre of the city and surrounded by universities it’s also an important focus for outdoor activities, there is always something happening (yoga, running, football) and when the sun shines it will be hard to find and empty spot (and it’s a huge park) due the high density of barbecues. Some people don’t know but in the park, there is also a small golf court (not mini golf) totally public, so if you wan’t to try the Scottish sport run to the closest charity and buy some “equipment” and balls for less than 5 pounds. 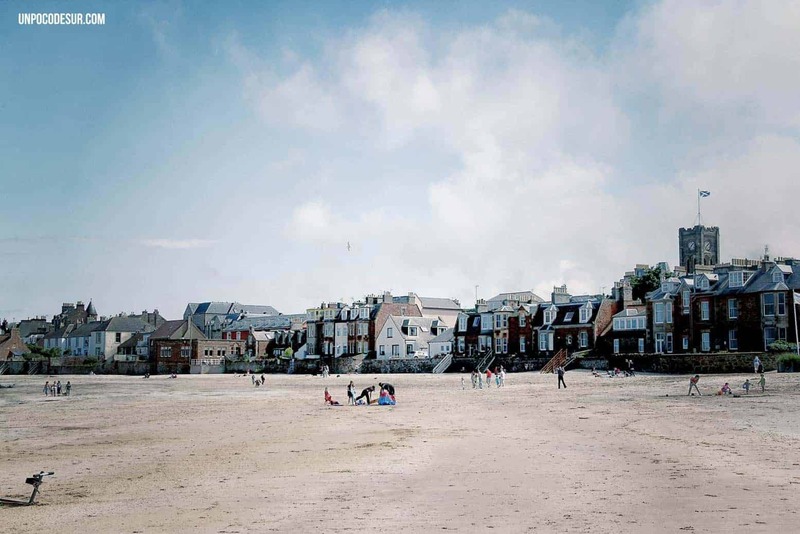 A little bit far from the city, on a bus rid of about 1 hour, you will find the lovely coastal village of North Berwick. The beach is massive even tho the temperature of the water it’s not the best to enjoy it, but you will have a beautiful sport for a picnic or just to chill out on the sand. Cramond island is nothing else than a small piece of land as any other but it has it’s particularity on the way to reach it. You can reach it walking with low tide so it’s only accessible few hours of the day. In order to reach the coast you will have to take a bus to Cramond village, less than 10 km away from Edinburgh and from there, only 1 km far you will see the island waiting for you if the tide allows it. The island it’s currently inhabited but in the 30s had a small farm and you still can see some of the military structures used along the second world war. It’s really important to keep an eye on the tide behaviour before starting the journey, if you are already in Cramond village there is a sign in front of the path with the most advisable times. Keep in mind every year the Royal National Lifeboat Institution has to perform hundred of rescues of silly people stuck on the island and you don’t want to be one of them. If you want to check it before you even take the bus just go to he following site.